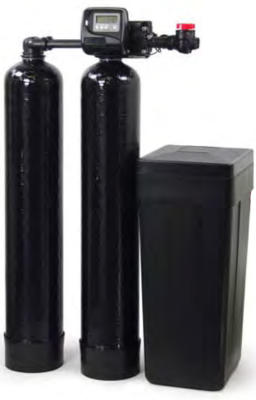 The ecomomical design of this water softener system service up to 6 people at a unbeatable price and warranty. The Fleck 5600 econominder control head valve will reduce the cost of operation by 35% compared to day set sytems. This water softeing system has being design with a higher capacity capability up to 8 people, the Fleck 5600SXT digital control valve progaming capabilities will decrease the salt and water usage between cleaning cycles and extend the life of the system. Fully Customizable water softeing system digital self-learning head valve will lean your water usage and adjust cleaning cycles. Will alert any potential issues and requaired maintenance for prompt service. 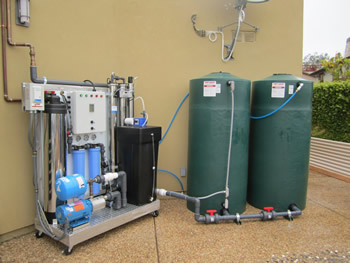 On Demand water softeing system has higher capacity capability with no downtime. 15 years + trouble free system. 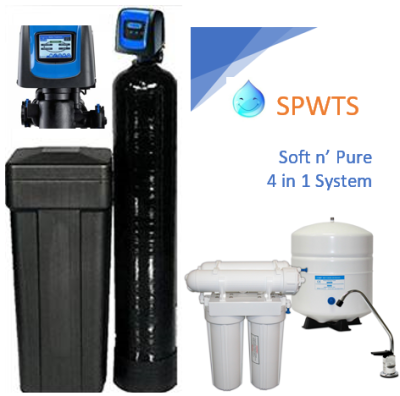 Our 4 in 1 system will reduce the harsh chemicals in your water. 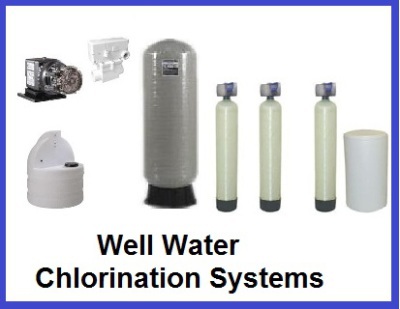 (chlorine, ammonia, pharmaceuticals chemicals, sulfur etc.) Reduce heavy metals and inorganic material. (arsenic, lead, fluoride, iron, etc.) 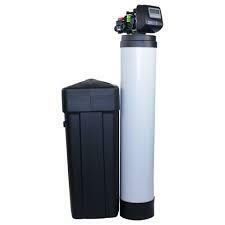 Eliminate algae and bacteria growth inside the tank. Eliminate hardness in the water. 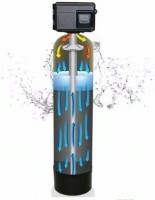 (calcium and magnesium) All in one single tank, the control head quoted is a self-learning touch screen controlling head valve capable of; Learn your usage and consumption to self-adjust cleaning cycles and amount of regenerant (salt) required. Saving you water and salt. Measure hardness changes. Manually and automatic vacation mode activation. Sense malfunctions in the system and alert us via (RF) for prompt service to the unit. 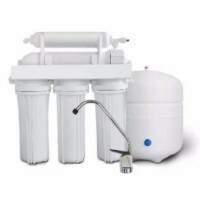 Also a under the counter reverse osmosis purification system complements the total heath protection for you and your family. Sulfur and Iron Eliminatin System. No Chemicals and minimal maintenance requirements. Single tank system that will give you drinking quality water without rooten egg smell and or metal taste.